This is my favorite item and one that is definitely on my Santa list. 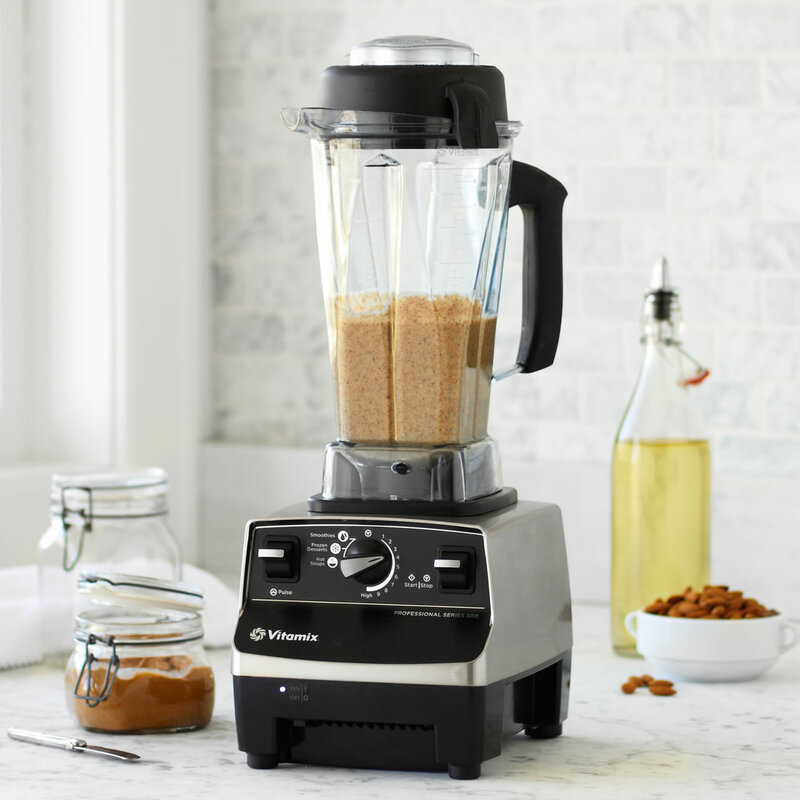 Vitamix is a fast blender that can help you prepare anything from dips, smoothies, purees, nut butters, milks, soups and much more. It comes with a high price tag but it is worth the money as it really speeds up food preparation. Various nut butters are a must have in our household and I am really excited that we will finally be able to make our own. You can buy Vitamix from many places like Williams Sonoma or Sur la Table. If you are looking to buy this online then amazon.com is a good place to start. Le Creuset is a staple item in every kitchen. 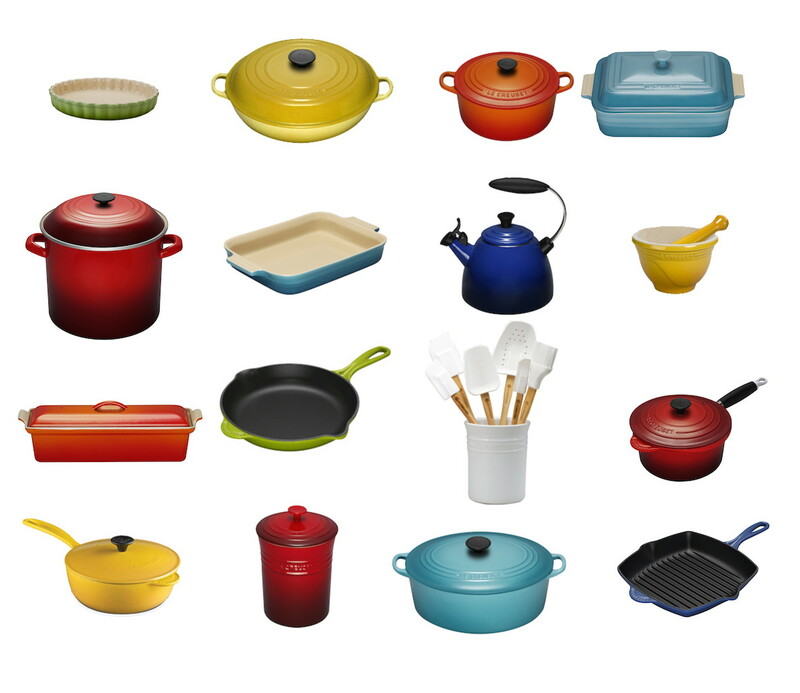 The various pots and pans are classical French cast iron cookware which has been enameled with many bright colors. They are oven and dishwasher safe. My favorite is the large French oven which can be used to create various one pot wonders like chicken and bean stew, coq au vin or boeuf bourguignon. You can buy the Le Creuset pots and pan pretty much anywhere Williams Sonoma, Sur la Table or amazon.com are good places to start. Deciding what to cook for an entire week and then writing down all the ingredients that are needed takes time. If someone close to you wants to cook at home, save money and eat healthy but they do not have the time to plan the meals this is a perfect present for them. 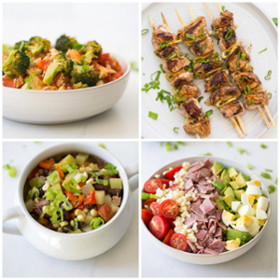 The Cooksmarts website offers weekly meal plans and cooking information. They offer 4 recipes per week and give you detailed preparation and cooking instructions and even provide you with a shopping list. If you are a beginner cook, they also provide cooking lesson on how to use a knife or how to chop an onion. Go to cooksmarts.com where you can sign up for a specific program. Olive oil is rich in monounsaturated fats which are very healthy. Many local shops sell olive oils which are rancid. 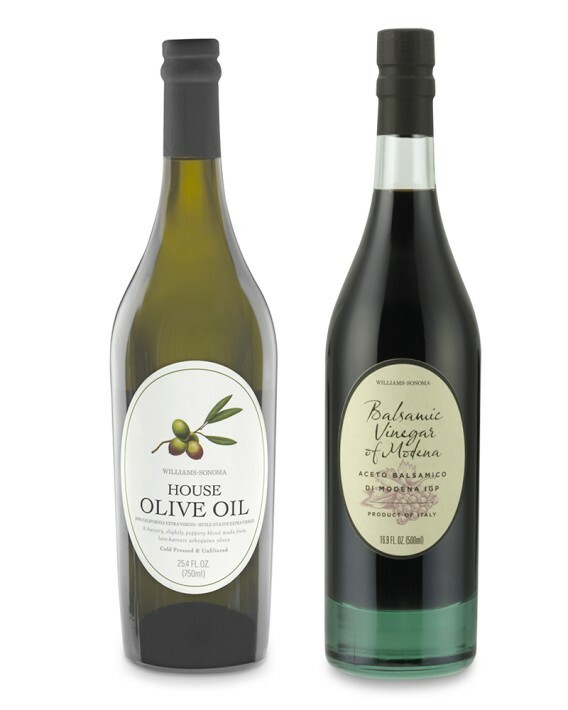 To get the good quality oil you need to read the label carefully to check that the oil is ‘cold pressed’. The ‘cold pressed’ oil has a completely different taste and it is this kind that is very good for you. It comes with a price tag which is why it makes a good holiday gift idea. My favorite set comes from Williams Sonoma where the olive oil tastes almost like eating olives themselves. 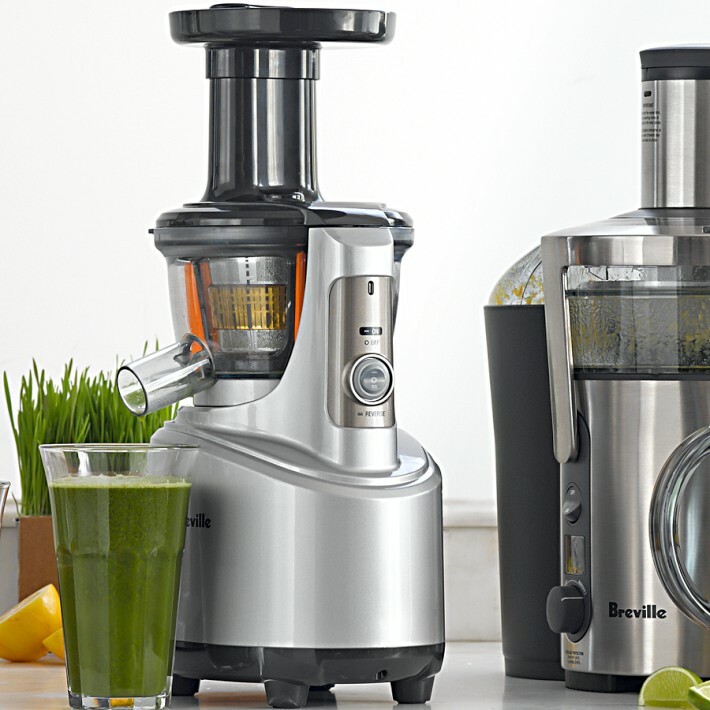 No healthy eating household should be without a juicer. Juices from fruit and veg can be added to smoothies or during cooking. It helps us to eat more fruit and veg throughout the day. You can buy this from may places like Williams Sonoma, Sur la Table, amazon.com or costco.com. I am a huge fan of steamers. When vegetables especially potatoes are cooked in a steamer the taste is completely different. The taste of vegetables is much richer than when they are cooked in water. Steaming is a very healthy way of cooking food. 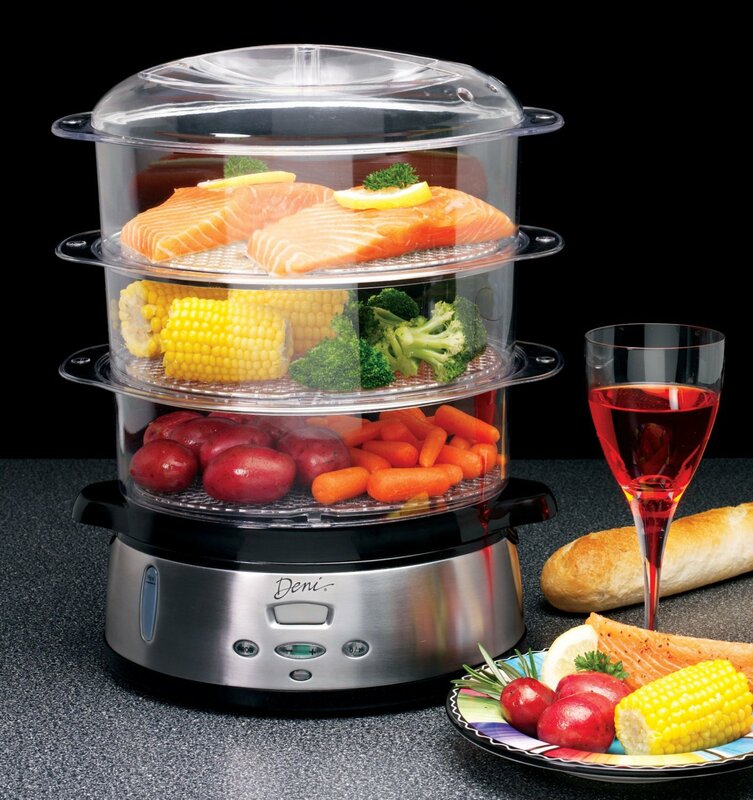 Similar to the Le Creuset French oven I really like the fact that you can prepare a full meal in one machine. You can get a variety of steamers on amazon.com. Tea especially green tea is really good for you. It is full of antioxidants and has been shown to reduce heart disease as well as reduce the risk of certain cancers. This kettle-like appliance can help you make tea by letting you adjust the temperature of the hot water as well as showing you how long the tea has been brewing. 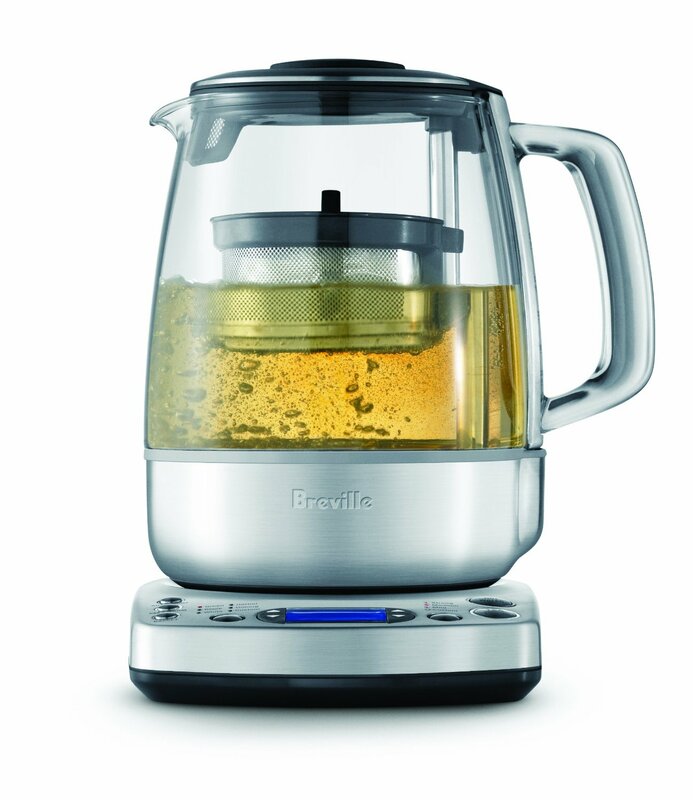 This machine makes the art of tea making easy and even keeps the tea warm for you for up to an hour. You can buy this tea maker from amazon.com. Using natural spices and herbs adds a lot of flavor into cooking. 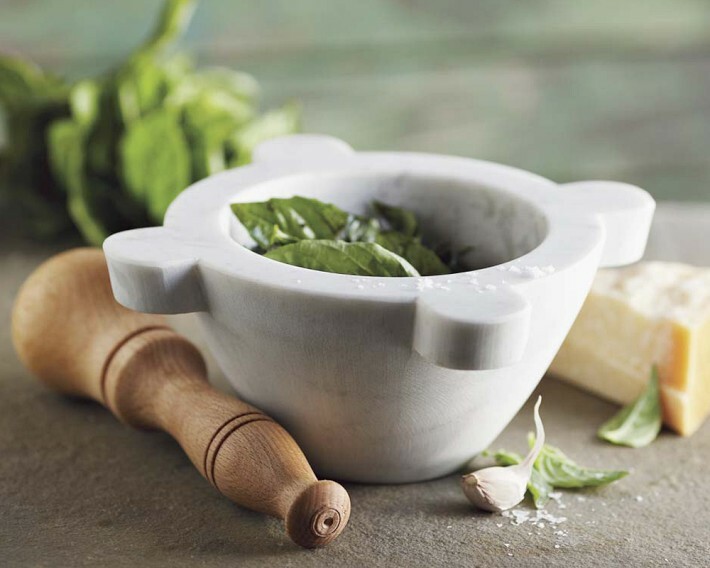 Using fresh herbs and spices is much healthier than using pre-mixed seasonings that you can buy in the shops which are often full of salt and other chemicals. Pretty much anywhere. Try Target, Wal-mart or amazon.com, The more expensive varieties you can buy from Williams Sonoma or Sur la Table. Why is on the list? Eating healthy often requires home cooking. There are very few restaurants out there which are healthy and we can’t eat out all the time. Cooking lessons are a perfect gift for a beginner as well as experienced cook. 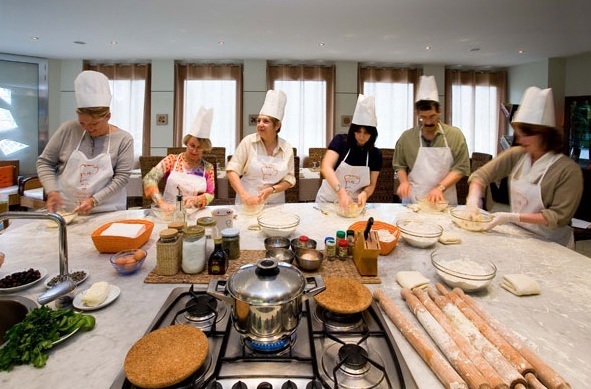 There are many different types of cooking classes and cooking schools to suit everyone’s taste. I would suggest googling cooking classes close to where you live. You can buy many organic herbs in the shop but there is nothing like having them at home for you to cut fresh just when you need them. 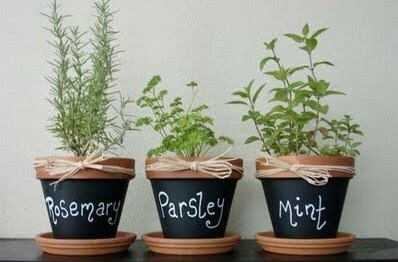 There are many different ways that you can set up the herb garden indoors but my favorite is to keep them in the traditional pots by the window as shown in the picture. You can get some more ideas from amazon.com. I love to use various spices. They are a healthy way of adding flavor to your meals without using a lot of salt. 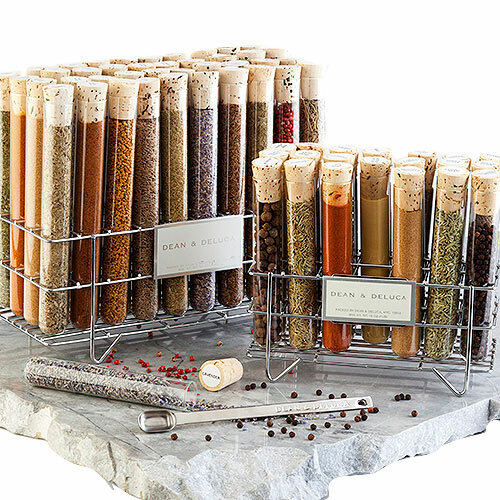 Even though I have my own selection at home there is something very exciting about getting a wide selection of spices in scientific lab tubes. They are very presentable and make a good present for any home cook. You can buy Dean and Deluca spice rack from deandeluca.com. This is one of my favorite items on the list. I love the idea that every month you receive a new gadget that you can use in the kitchen to prepare tasty fruit and vegetable dishes. There are many things on the list, from peelers, cutters, pie holders, salad scissors to cookie cutters. 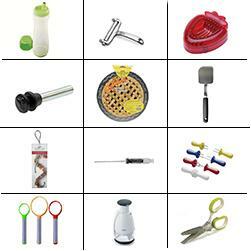 You can join the gadget of the month club by visiting kitchenandcompany.com. 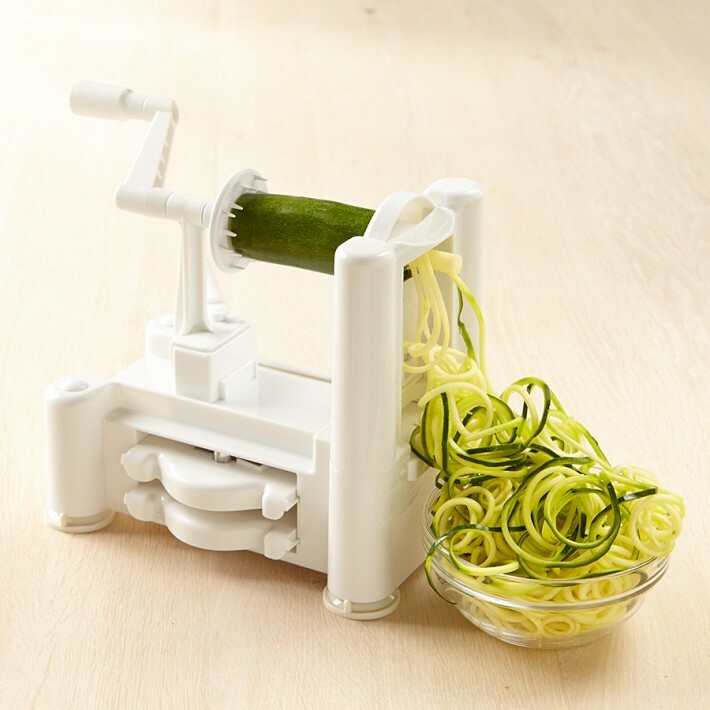 Paderno spiraliser made it to my list because it creates spaghetti like swirls out of vegetables which I think is pretty cool. It can make spirals from zucchini, beetroot, cucumber and other harder veggies. Once you have the vegetable swirls you can easily add it as a side to your meal or add to casseroles or use instead of pasta. You can create a healthy twist on spaghetti and meatballs by switching 50% of your spaghetti for the zucchini spirals or if you feel brave you can switch all of your spaghetti for the vegetable spirals. You can buy the paderno spiraliser on amazon.com or williams-sonoma.com. It is always useful to have good cookbooks at hand. Even if you are an experienced cook it is nice to have inspiration on what to cook to be healthy. 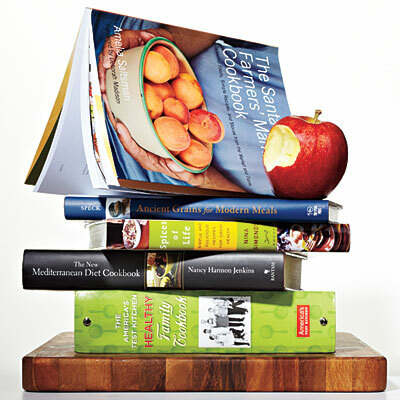 There are a number of cookbooks I would recommend. If you are buying a gift for a beginner cook who is trying to eat healthy try Mediterranean Diet Cookbook for Dummies. For the more experienced cook I would recommend: The Sonoma Diet Cookbook, The New Mediterranean Diet Cookbook, Fit Food: Eating Well for Life, Santa Monica Farmer’s Market Cookbook or Ancient Grains for Modern Meals. The two nutrition books that I would recommend are: What When Water by Clyde Wilson and Eat Drink and Weigh Less by Walter Willett. I have added direct links for you in the paragraph above. Everyone should eat nuts as part of balanced diet. Yes they are high in fat but this is the ‘good’ kind. The good fats found in nuts have been shown to lower the bad (LDL) cholesterol and increase the good (HDL) cholesterol. 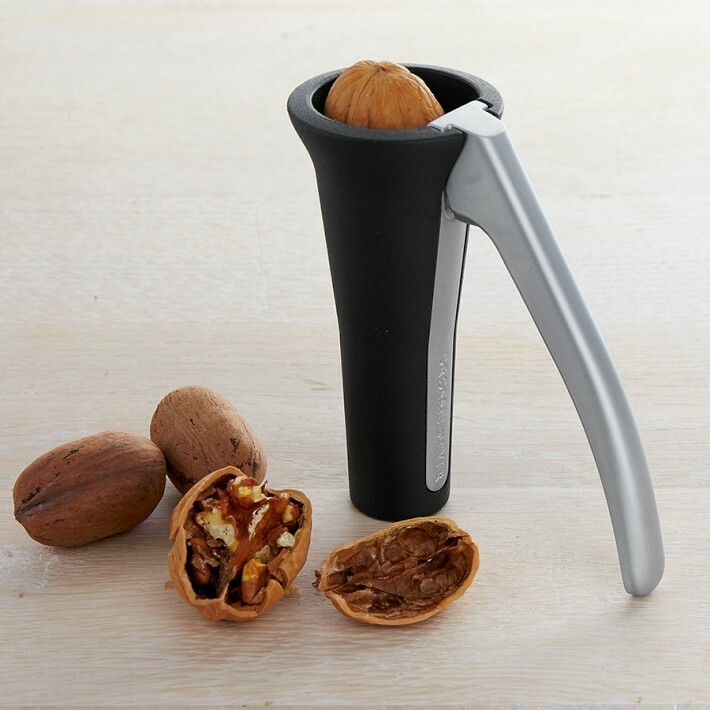 Buying nuts in their shells and using nut cracker to open them is a fun and festive way to eat nuts. You can buy nuts in their shells from any grocery store. There are a number of home stores that stock various types of nut crackers for example Bed Bath and Beyond has a traditional nutcracker. If you prefer a more modern design go to williams-sonoma.com. Tags: amazon.com, balsamic vinegar, cookbooks, cooksmarts, Cookware and bakeware, Creuset, dean & deluca, herb garden, Holiday, juicer, Le Creuset, Mediterranean diet, mortar & pestle, nut cracker, nuts, Olive oil, paderno spiraliser, spice rack, steamer, Sur La Table, tea maker, vitamix, Williams Sonoma | Permalink.